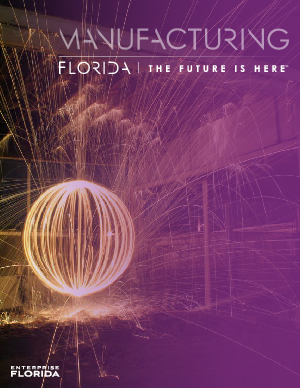 Thanks in part to its leading business climate, workforce, and trade and transportation infrastructure, Florida ranks among the nation’s top 10 states for manufacturing and is home to more than 19,000 manufacturing companies. The state’s 331,000+ manufacturing employees produce a wide variety of goods, including aerospace products, batteries, food and beverages, communications equipment, pharmaceuticals, semiconductors, boats and more. Keep reading to find out why your company should be in Florida.